In 2009, Rick Armstrong did something any financial adviser would warn against: He drained his entire retirement account to start brewing and selling beer from the garage of his triplex on an eclectic Sitka street near a welding shop and a Russian dance studio. 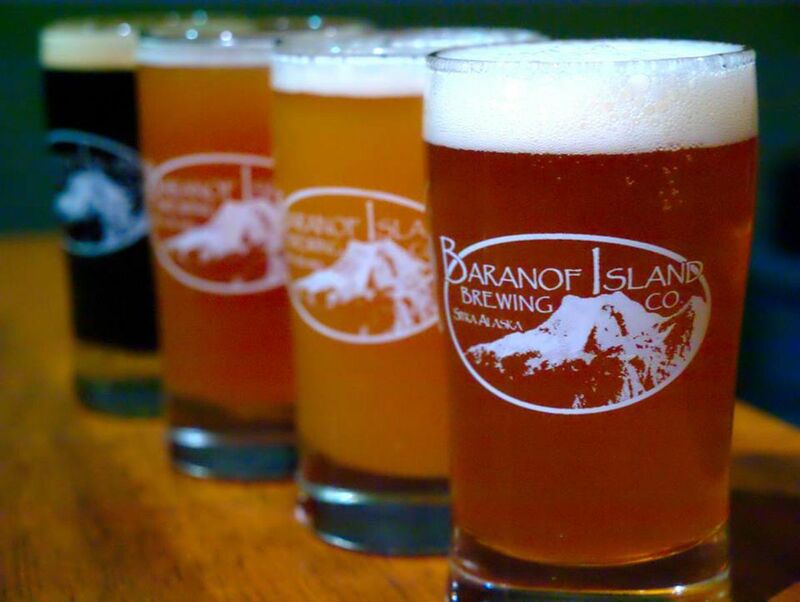 Now Armstrong and his partners in Baranof Island Brewing Co. are taking another unorthodox approach to financing their business, which has grown into a legitimate beer producer whose ales and other libations have found followings across Alaska and western Washington state. 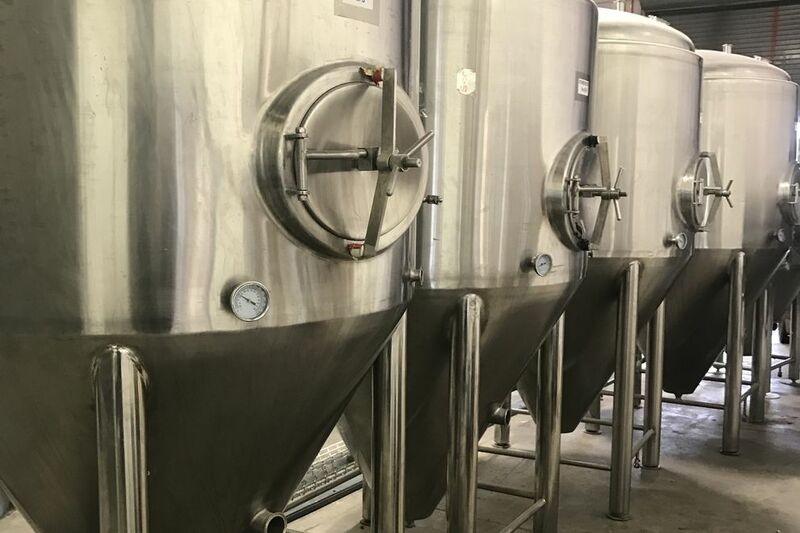 The Southeast Alaska brewer is the first company in the state to raise equity capital through a new crowdfunding law passed by the Legislature in July. The law opens a hitherto untapped source of financing for entrepreneurs by allowing businesses to sell ownership stakes to Alaska residents. In mid-March, the company began selling shares at $100 apiece. Armstrong hopes the fresh infusion of capital can go toward a new brewery system that will help him churn out more beer to meet distribution demands. 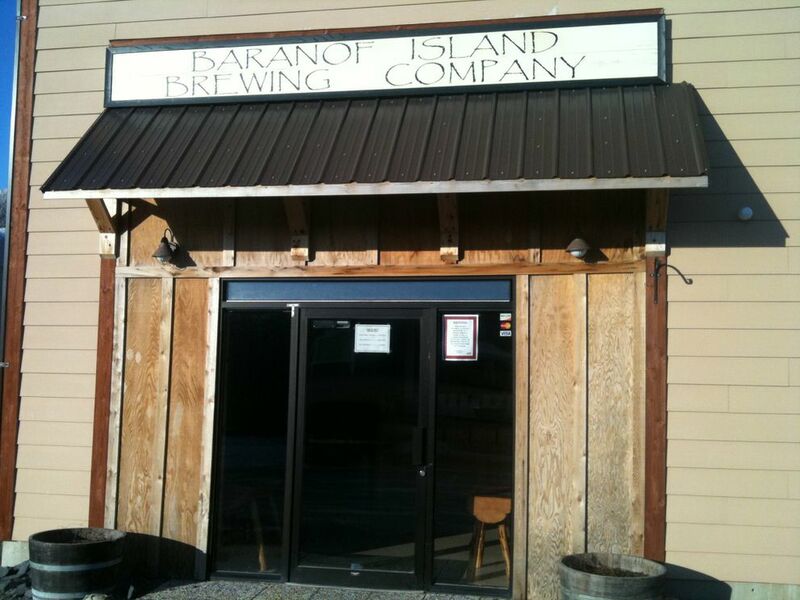 He said Baranof's beer is on tour boats in Southeast and in every bar, package store and restaurant in Sitka. For a company that began by selling pints and growlers to walk-in customers out of a four-car garage, that's progress. And Armstrong sees room for more. "We've talked to cruise companies and big-box retailers about filling orders, but we've never been able to go at them because we don't have the volumes they want," he said. "We're in Safeway and other stores and restaurants but don't want to jeopardize those relationships and make promises but not produce." The brewery also hopes to finance a recent move to a larger location directly across the street from Sitka National Historic Park, whose quiet paths and totem poles draw tens of thousands of visitors each year. Crowdfunding allows anyone to make financial contributions to business ventures or passion projects. Equity crowdfunding includes an investment opportunity, allowing startups and smaller businesses not traded on an exchange to sell stock in themselves in return for shareholder backing. But investors in Baranof should temper any expectations of profit. Although billed as an investment, the act of buying a share of the brewing company more closely resembles a donation at this point. Shares have no market value and indeed there is no "market" to sell them on, meaning that even if the company rises in value, there is no way to monetize those gains. The model is similar to fan ownership of the NFL's Green Bay Packers. Like Packers owners, brewer shareholders receive a certificate that in effect commemorates their support of a local business. But where the Packers emphatically do not pay out dividends, there is some hope for Baranof shareholders. While careful to note that nothing is guaranteed, Armstrong is optimistic about the possibility of shareholder returns in the longer term. "I'm telling everyone that within five to 10 years, we will pay dividends," Armstrong said. Typically equity shares in a company come with voting rights or some modicum of say over how the company is run. Armstrong and his other original partners plan to let smaller shareholders have some input on brewery matters through the formation of a corporate board. The makeup of the board closely tracks the ownership structure. The crowdfunding sale consists of 37 percent of the $2.7 million company, meaning majority control will remain with Armstrong and his wife, co-owner Suzan Hess. Armstrong, Hess and partner Hans von Rekowski will hold three seats in approximate proportion to their 63 percent ownership. The other two board seats are slotted for representatives to be elected by shareholders. "We wanted to share the brewery with everybody and were not looking to be sole operator-owners," Armstrong said. "We always wanted multiple partners to be involved." Usually, when a company offers stock to the public, it must register with the state or federal Securities and Exchange Commission, a process that's designed to protect investors and requires vetting by the government. But the popularity of linking large numbers of small investors with startups and small businesses has increased the number of state laws removing many of the hurdles of registration. At least 36 states and the District of Columbia have enacted laws or regulations that allow for equity crowdfunding, according to the North American Securities Administrators Association. The first state to do so was Kansas in 2011. Sen. Mia Costello, R-Anchorage, who sponsored Alaska's equity crowdfunding law, dubbed the Innovating Alaska Act, wrote in a September Alaska Dispatch News opinion piece that she hopes it "helps small investors make money here at home while helping small businesses grow the Alaska economy." "Before the law's passage, you had to go through a certified financial adviser and hit up your closest friends and family for investment," Costello told Alaska Dispatch News in an interview. "This provides a platform so your business is out there. Anyone who has a business idea can appeal to other Alaskans. It cracks the nut of access to capital." Investing in any single business is inherently risky and the Innovating Alaska Act protects investors, to a point. There's a provision limiting an individual to investing no more than $10,000 in a business within a 12-month period unless they are an accredited investor. And businesses can't drum up support for more than $1 million in any given year. Businesses involved in Alaska crowdfunding must be based and licensed in the state and are subject to the state's anti-fraud laws. The law requires investors to verify that they're aware of the risks, with all share purchase agreements containing the following statement: "I acknowledge that through this Subscription Agreement, I am investing in a high-risk, speculative business venture, that I may lose all of my investment, and that I can afford the loss of my investment." Risk also extends to the brewing company, should it disappoint shareholders and damage the reputation of the owners in the community of 9,000 people. Armstrong has lived in Sitka for nearly a decade and is president of the Brewers Guild of Alaska. Before becoming a full-time brewery owner, he maintained medical equipment for the Southeast Alaska Regional Health Consortium. His interest in beer is rooted to his time as a college student in Missoula, Montana, which he calls "a mecca for craft beer," and in his admiration for brewers in other Southeast communities like Haines and Juneau. Enthusiasm for the brewery's share offering has exceeded Armstrong's expectations. Upon opening the equity sale in mid-March he had aimed to reach a minimum goal of 50 shares, or $5,000, by Dec. 31. While he would not reveal exactly how many shares had been sold, he confirmed that he had exceeded the 50-share minimum through sales to residents of Sitka, Kodiak and Anchorage. "I expected our local customer base to come on board, but it's amazing to meet people I didn't even know," Armstrong said. "It's a little bit of pressure, but it's a great feeling to have people trust us that much and have that much faith in our product."